We Fall-Liners have been about a bit, skied about a bit and as a result often get called upon to advise on all things snow-related. While helping your mates tends to be reasonably straightforward, organising a family trip can be a whole different ball game. Suddenly there’s small kids, big kids, partners, parents, grandparents and a host of other random relatives along for the ride and guess what? They can all be pretty demanding and YOU are responsible for making sure this snow show delivers for everyone. After all, you’re THE ‘expert’ right? 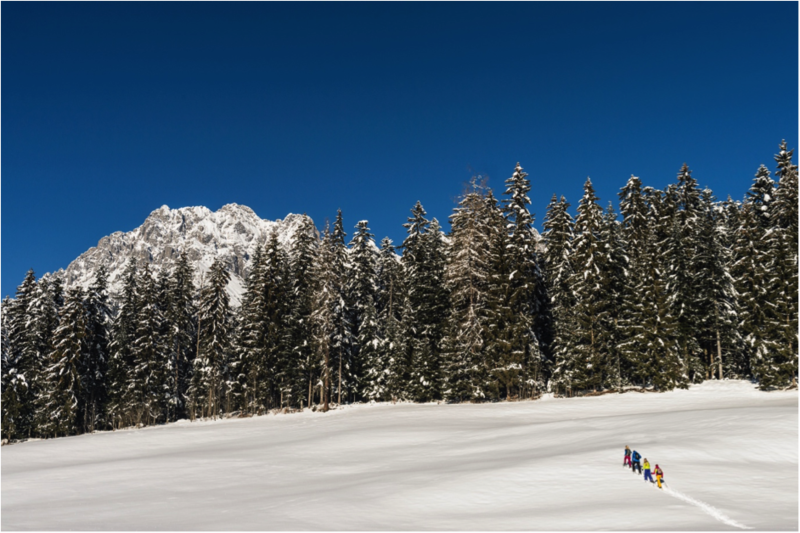 If the thought of planning a multigenerational mountain holiday makes you want to run for the hills, then fret not. It doesn’t need to be a logistical nightmare… here’s how to nail a week of family fun all-round. There’s a lot to think about here – it’ll be worth it, but it’ll take a while for everything to come together. Rushing is never fun with a lot of people and logistics to sort out. Plan as far in advance as possible to find a week everyone has free, bag the best accommodation and give people time to budget. If there are children coming, booking early is the best way to get a good deal on a school holiday week, which always sell out the soonest. The website Doodle is great for collecting everyone’s availability to see what works best. 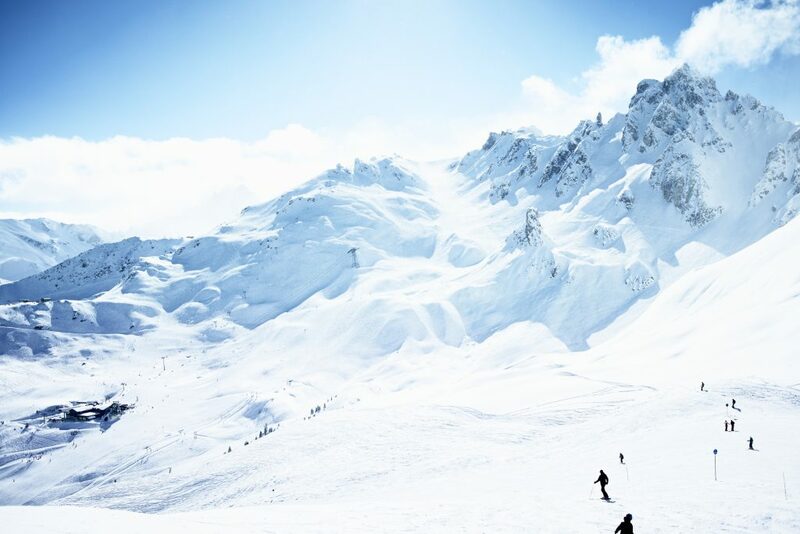 Larger ski areas offer a massive range of winter sports for every level, plenty of space to roam, largest choice of accommodation and activities. Smaller resorts tick the close family box so if you’re looking for traditional villages with low-key restaurants and a less bling vibe then places like Champoluc in Italy, St Christoph in Austria, Samoens and St Gervais in France are great options. Location matters too, particularly if people are coming from different places, or prefer different types of transport. In France for example, somewhere within easy reach of Geneva is great – the airport is served by 21 airports in the UK and Ireland plus plenty beyond that. It’s also one of the quickest areas to drive to from Calais and has good rail access. Pistes aplenty in the 3 Valleys, the world’s biggest linked ski area © Courchevel tourism & David Andre. Close-knit clans often like to book out a whole chalet. 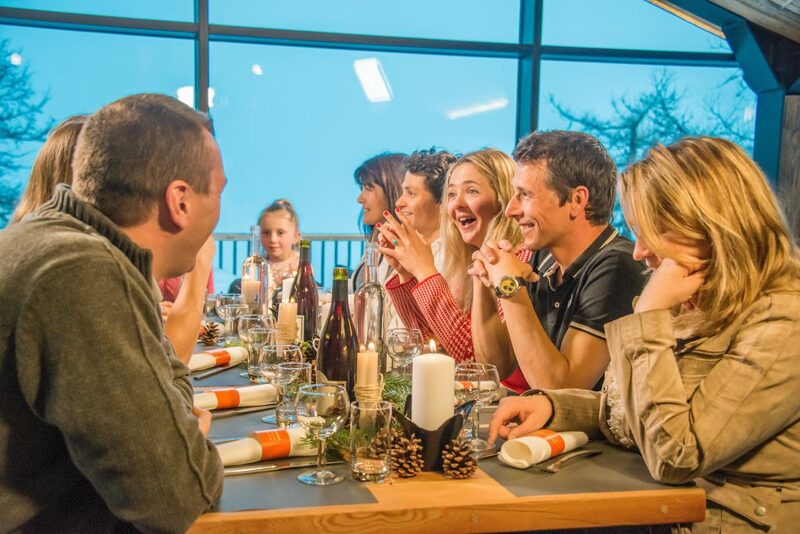 Catered chalets provide a cosy, authentic setting with log fires and big dining tables to gather round. At the higher end of the scale, you’ll find luxury facilities like hot tubs and swimming pools. With catered chalets, hosts will plan the menu, cook and serve meals then tidy up after you. There’s less flexibility but you’re freed from any housework and don’t have to worry about who’s turn it is to pay for the milk – it’s all covered with the cost of the accommodation. Self-catered chalets let you determine the dining side of things: either take turns on the cooking and clearing for sit-down family suppers or, let everyone sort themselves out – whether that’s cooking, eating out or takeaways. 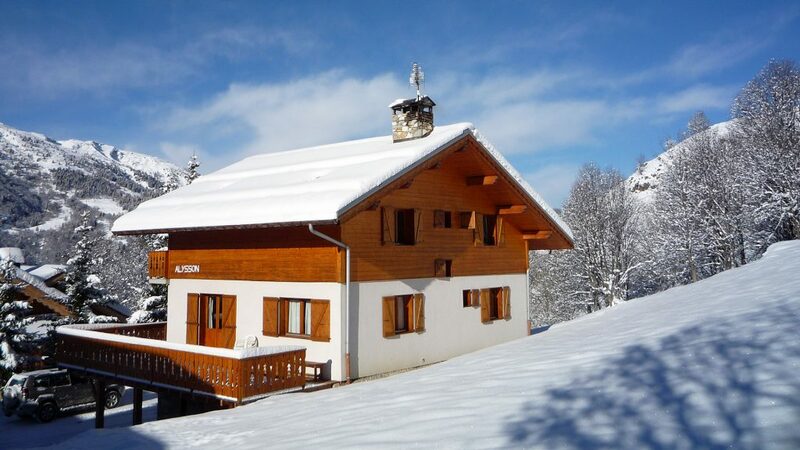 Chalet Serpolet in Meribel – catered chalet sleeping 12-13 with easy access to town & pistes, games room, sauna & outdoor hot tub. Either way, you have your own space to enjoy the usual family antics. Just make sure you have a solid idea of how many people are coming, so you can secure the right sized chalet without complications if who’s coming changes. Once you know what type of property and catering you need, it’s time to figure out the finer details. Get an idea of what people want when it comes to price, location and amenities but don’t make any promises – with big groups you’ll almost certainly need some compromise. Requirements differ from family to family, but if sharing childcare between yourselves isn’t going to work, accommodation with a nanny or creche could be a godsend. Somewhere with an on-site / nearby bar gives people a chance to enjoy a tipple or two without having to stray too far. Pools and wellness facilities let you enjoy some downtime together and offer non-skiers pampering while others hit the slopes. It sounds like a headache finding somewhere that ticks so many boxes, but thankfully most travel sites let you select your preferences then display only the results that meet them – SNO is good for family bookings and has a massive range of holidays. How we pulled off these kinds of trips before the Digital Age is a mystery! Whether they’re two-year-olds or teens, when the youngest members of the brood are happy, everything’s a lot more enjoyable for everyone else! It helps when they have others of similar age to spend time with, whether that’s siblings, cousins, friends from home or fellow guests where you’re staying. Good ski schools make all the difference too. 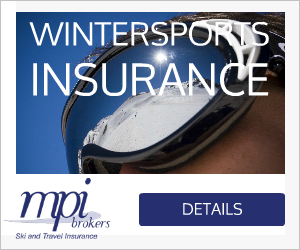 Group lessons give them a chance to make friends of a similar age and ski skill, or if a few of the clan are the same level, a private instructor will provide quality instruction as well as quality time together. 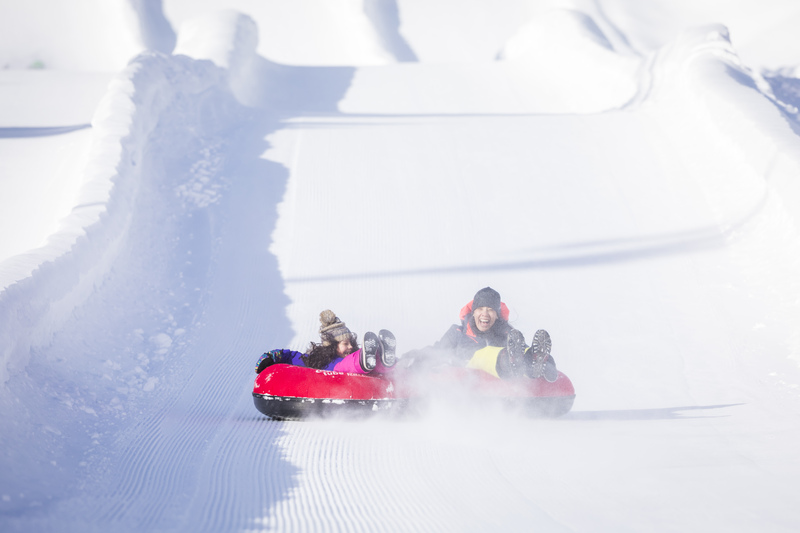 Watching youngsters enjoy the magic of a winter resort will leave all age groups grinning. Make time for things like snowball fights, snowman building and sledding that’ll bring out the child in everyone. We’re sure the perfect extended family’s out there – where everyone from 3-year-old Sammy to Great Auntie Susan skins up mountainsides in perfect synchrony. But for the rest of us there’s often a relative or two who won’t want to ski non-stop, if at all. 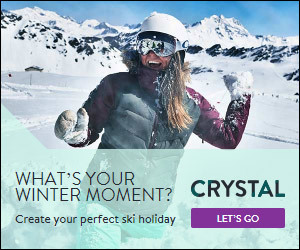 The bigger resorts have all kinds of non-skiing activities, so while you’re planning the skiing side of things, note other stuff too, like shopping, museums, cosy cafes, leisure centres and the like. If you only have one non-skier coming along, joining group snowshoe treks or guided walks will save them from feeling on their tod. 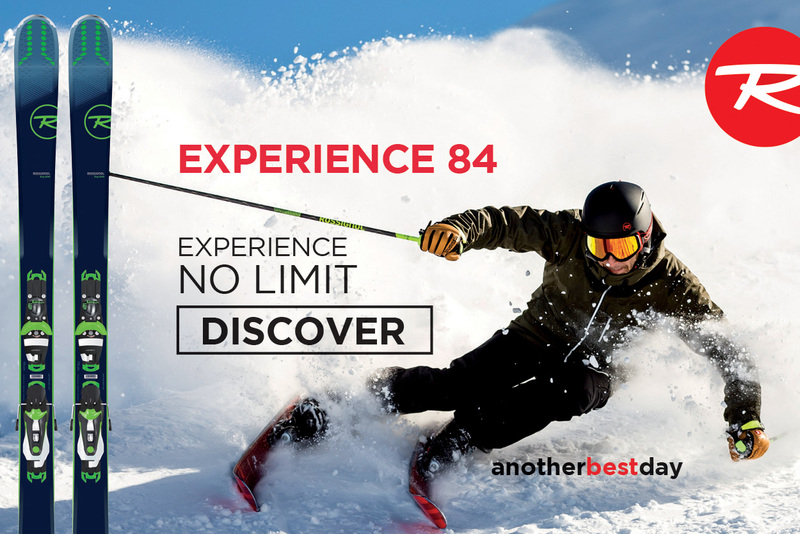 If you’re anything like us, you’d gladly spend every second skiing ‘till your thighs shake then collapse in a happy heap – but schedule time and energy to hang out with the whole family. Pick a lunch spot where everyone can regroup at a certain time each day, go into the kids park and humiliate yourself, set friendly competitions, play games in the evenings etc etc. Make plans to mark whatever occasion you’re celebrating, perhaps with a special meal (anything from fondue to private dining) or group activity (bowling, husky sledding, even a helicopter flight). Whatever you end up doing, take plenty of pictures to remember the trip by – Google Photos is great for sharing between everyone. Make it a success and there could be more family mountain gatherings in the future – which means you’ll get to ski more and let’s be honest, that’s basically what it’s all about!